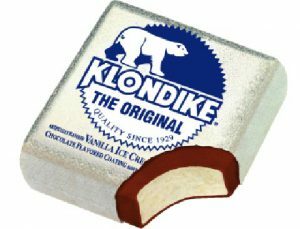 Klondike, the original Pittsburgh-made ice cream bar! Have you ever eaten a load of sugar like a huge ice cream bar and felt kind of crummy? Have you noticed that when you eat lots of fruits and vegetables you feel better overall? That’s because what you put in your body and you brain and very connected. After all you’re all connected. Just as the the thoughts you think will affect how you feel, so too what you eat will affect how you feel. Gaining control of what you put in your body will not only make you more aware of your health, but it will also help you gain control of your life. Here are some apps that may help! MyFitnessPal has a huge built-in library of foods, which makes it easy to upload what you’ve eaten and see how it contributes to your nutrition. It saves the foods you’ve eaten, which makes tracking a snap. You can also set goals and sync your exercise along with your food intake. ShopWell helps you be sensible while confronted with the truckloads of processed foods inside the grocery store. It helps you buy the foods you really want to buy to stay physically and mentally healthy and not get side-tracked. 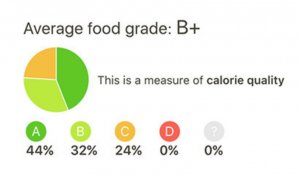 Fooducate shows nutritional breakdowns like this one. Fooducate is a highly rated app that helps you learn what’s really in the foods you’re buying. Nutrition labels can be super confusing. Use Fooducate to scan the labels for a quick assessment of how healthy a food really is. For example, if you’re standing in the dairy section looking at a yogurt that has lots of added sugars or artificial sweeteners, Fooducate will show a red exclamation point to warn you that there may be a better choice. What are some foods that you eat that make you feel good physically and mentally? What strategies do you use to be mindful of what you put in your mouth? Is depression something you can just control?